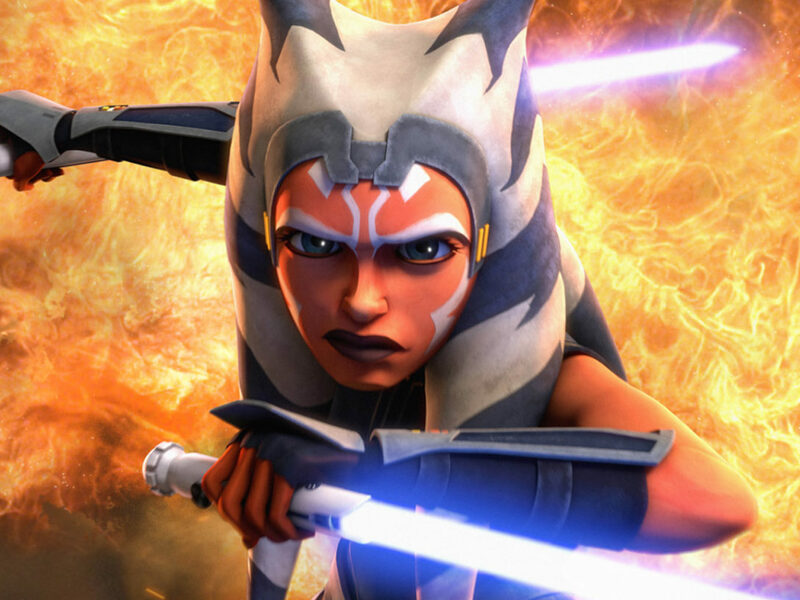 StarWars.com speaks with the Lucasfilm Story Group's Matt Martin about connecting Star Wars Rebels with the first Star Wars stand-alone film. 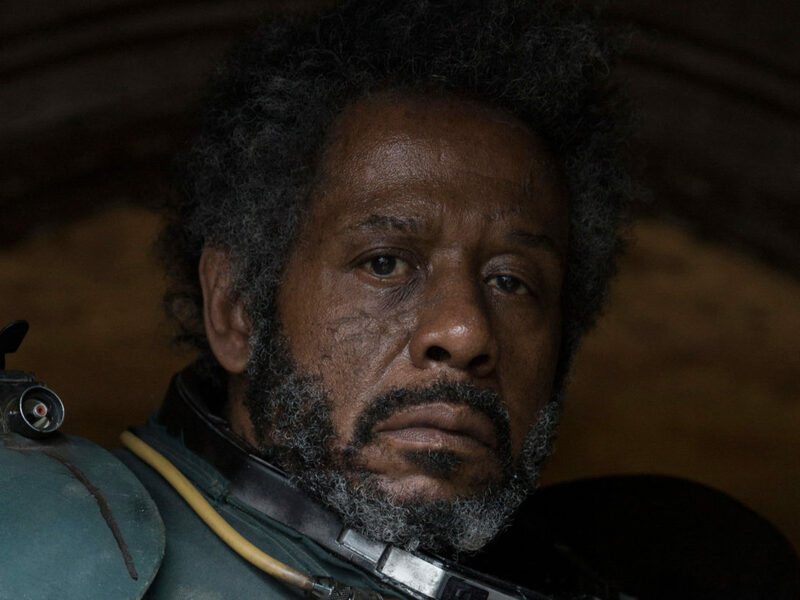 Spoiler warning: This article reveals surprise appearances in Rogue One. See the movie before reading this! 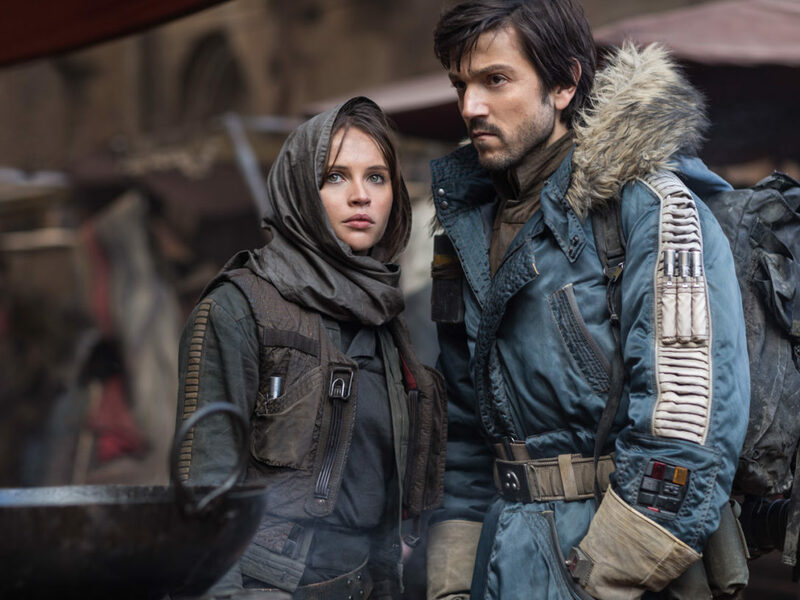 If you love Star Wars Rebels, you probably noticed a few grab-the-arm-of-the-person-next-to-you-and-point-excitedly-at-the-screen surprises in Rogue One. There was Chopper at the rebel base on Yavin 4. 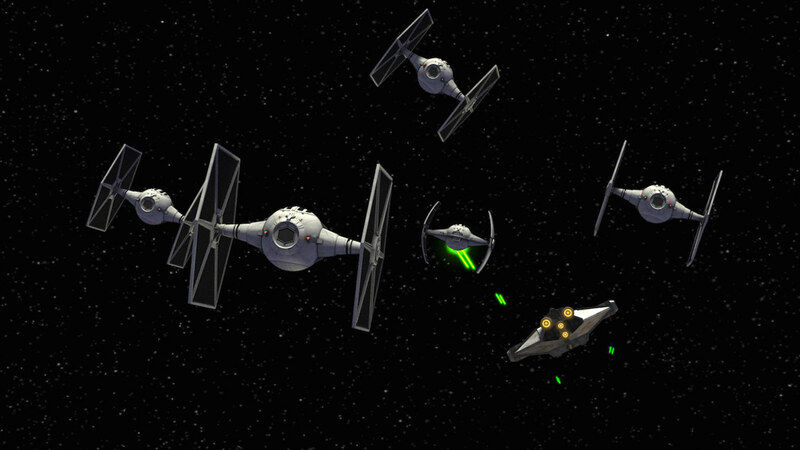 The Ghost flying with the rebel fleet. Calls for “General Syndulla” (yes, General!). And maybe a couple more. 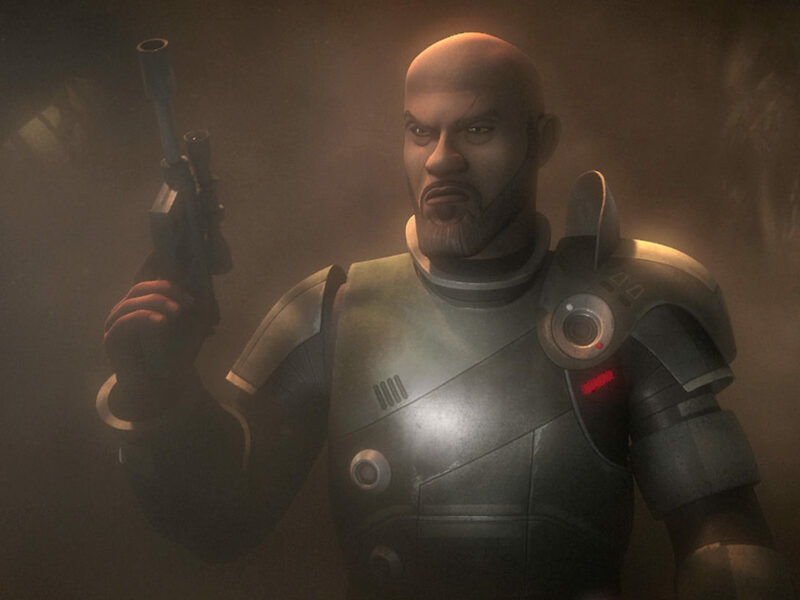 We’ve always known the characters of Star Wars Rebels share the same story and universe as those in the films, but now we really know. 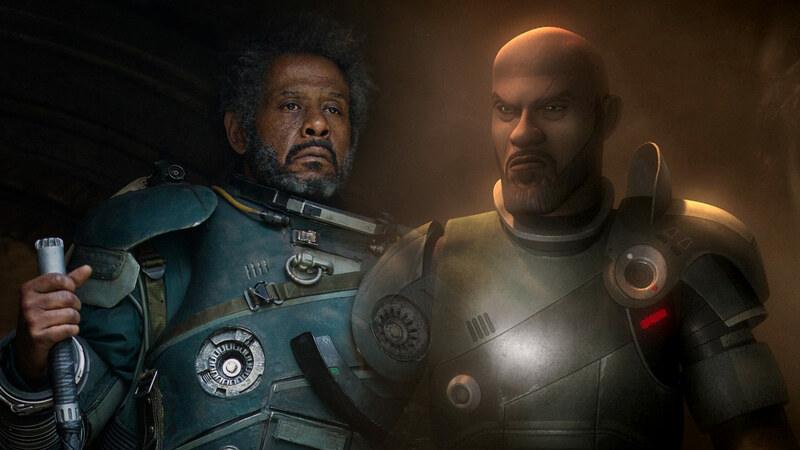 The connections between Rebels and Rogue One don’t end there, however; Lucasfilm and Disney announced today that Saw Gerrera, the war-weary rebel, is coming to the animated series in January 2017 and will be voiced by Forest Whitaker. 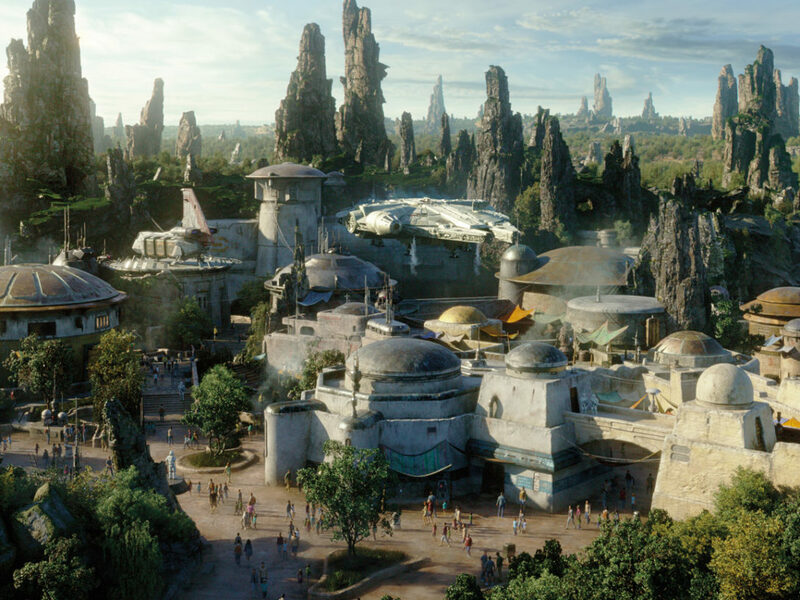 It’s an exciting time to be a Rebels fan — and a great time to jump on board — so StarWars.com caught up with the Lucasfilm Story Group’s Matt Martin (who had the privilege of operating Chopper on the rebel base set) to find out how all these connections came to be. StarWars.com: Just from a personal, this-is-awesome perspective, tell us about being on set and operating Chopper. You can’t really tell since it’s so brief in the film, but the scene was actually really intense. It was the most challenging droid-driving I’ve ever done. There had to be at least 30 extras running around, as well as a little personnel transport thing, and I had to make sure Chop didn’t crash into any of them or impede their motion. It was very nerve-wracking at first, especially because I was in a position where I couldn’t see very well. Eventually I found my way up onto a gantry and things were a bit easier. I’m pretty sure I never ruined a take, but one time Genevieve O’Reilly [Mon Mothma] accidentally bumped into the droid, she looked around, spotted me holding the control on the gantry and mouthed, “I’m sorry!” I’d expect nothing less from a former senator. So thanks to Lee and the rest of the crew for allowing me to be a VERY small part of the production without any sort of qualifications. It’ll be one of the highlights of my life, for sure. 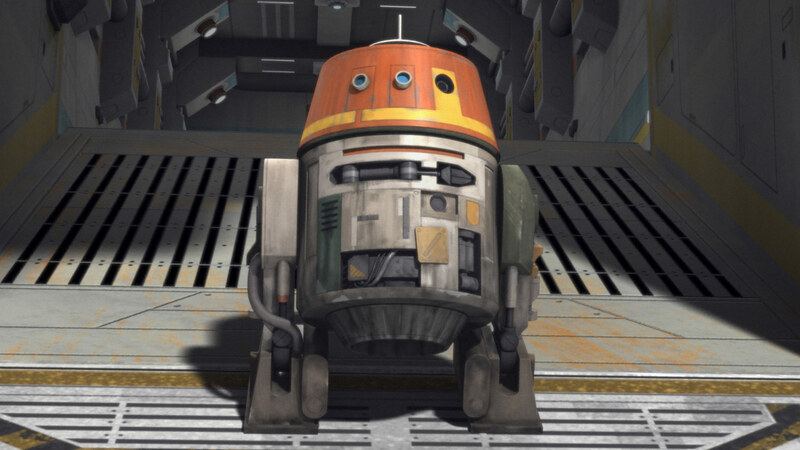 StarWars.com: What was it like seeing Chopper on a real set, around flesh and blood (and steel) Star Wars characters? Matt Martin: It just felt right. This is how it’s supposed to be. It was just very natural. That said, it’s also always nice to see a familiar face when you’re traveling abroad. It was the next best thing to showing up in London and seeing my dog there. 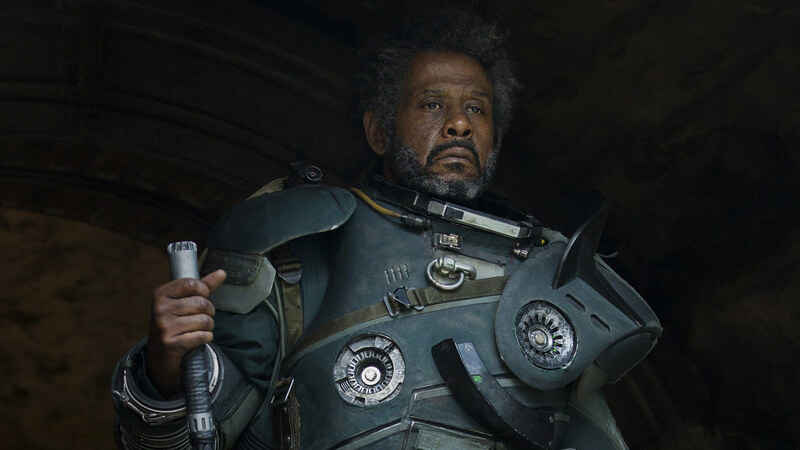 StarWars.com: In general, from a Story Group POV, can you talk about the mindset and strategy of bringing Rebels elements into Rogue One, and vice versa. 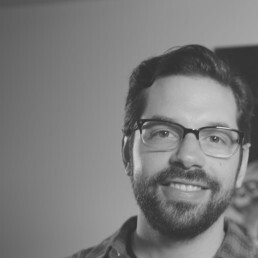 Matt Martin: We’re very committed to the idea of the shared continuity across all Star Wars storytelling in all media, so knowing that Rogue One and Star Wars Rebels take place around the same point on the timeline, and both involve the early Rebel Alliance, it just seemed like a natural fit to make those connections. 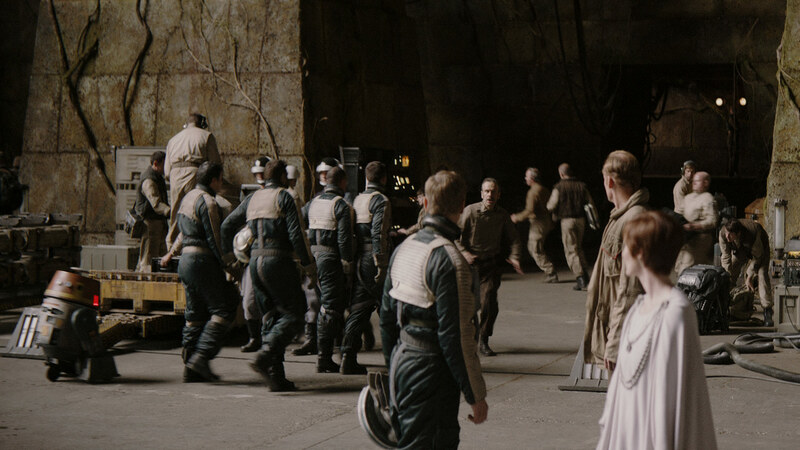 And it’s a reciprocal thing; elements of Rogue One could naturally find their way back into Rebels. We obviously had to be mindful of not spoiling Rebels since that story is set in the years before the film, but the restraints can come off a bit when working on Rebels in this capacity. This is only the second movie since the formation of the Story Group and this unified story world, so it almost feels like Rogue was a coming-out party of sorts. Rebels and Rogue One are all just the start of a larger strategy that we’re all very passionate about. 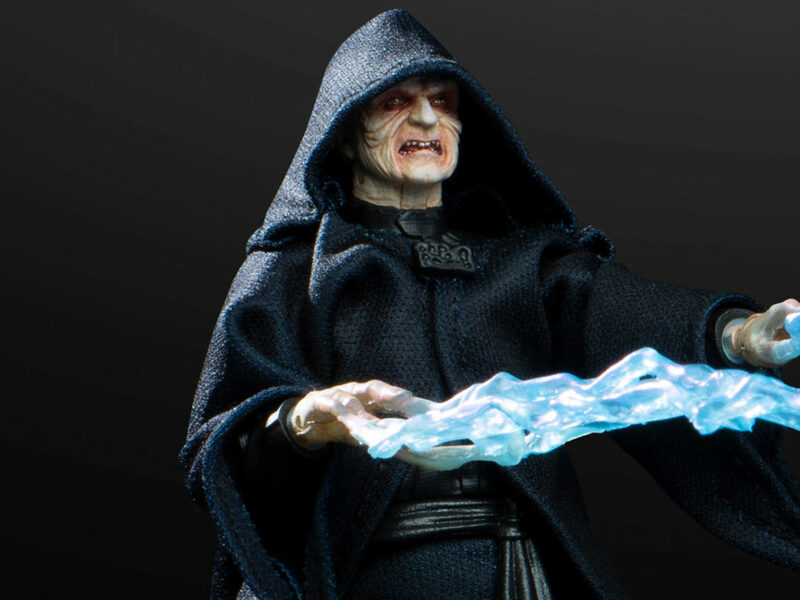 StarWars.com: Fans were very excited picking up on the Easter Eggs. The Ghost with the rebel fleet, Chopper on-screen, “General Syndulla” on the PA. Why do you think it’s so meaningful to fans? Matt Martin: Don’t forget those Hammerhead Corvettes! 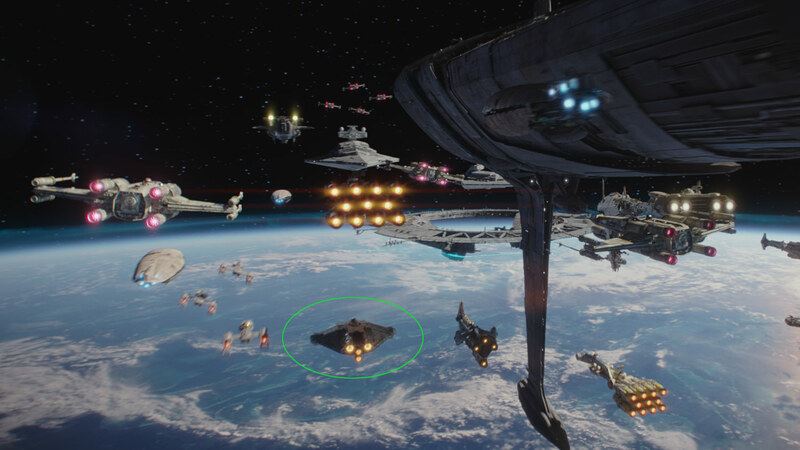 If it wasn’t for the Rebels team, the Rebellion would never have had those Hammerheads and wouldn’t have been victorious in that one big objective in the final act of the film. Point is, the Rogue One mission was supported by the Ghost crew! 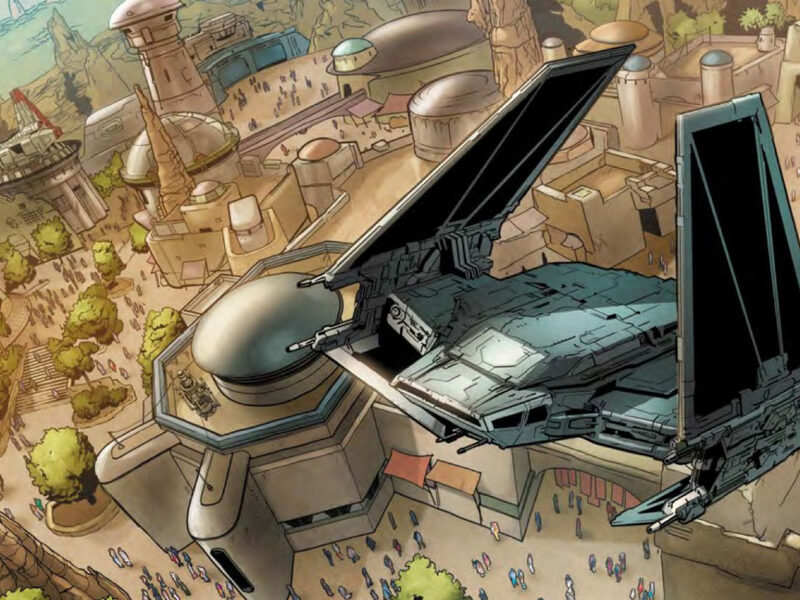 But to your question, the obvious answer is just the superficial idea that it’s fun to see familiar things that you love in something new, but I think with Star Wars fans, it’s more than that. 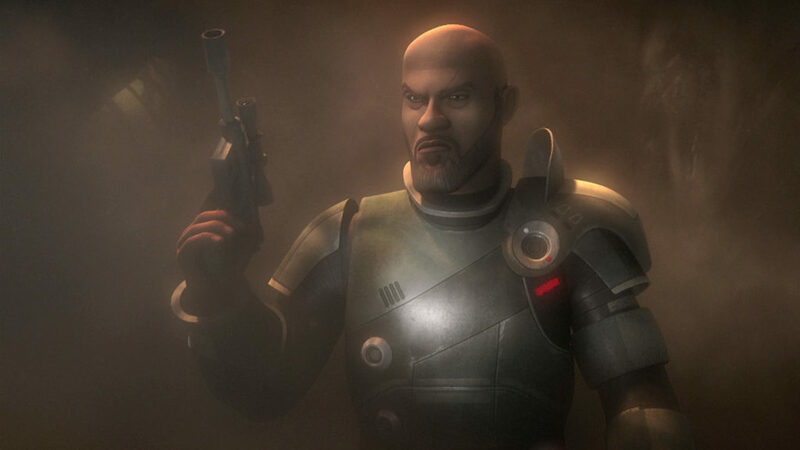 Fans feel a deep connection to Star Wars stories and characters, and to many fans all Star Wars stories, regardless of medium, are equal. So fans love Rebels the same way that they love the films, and seeing those two things coming together is just an incredible experience for everyone. 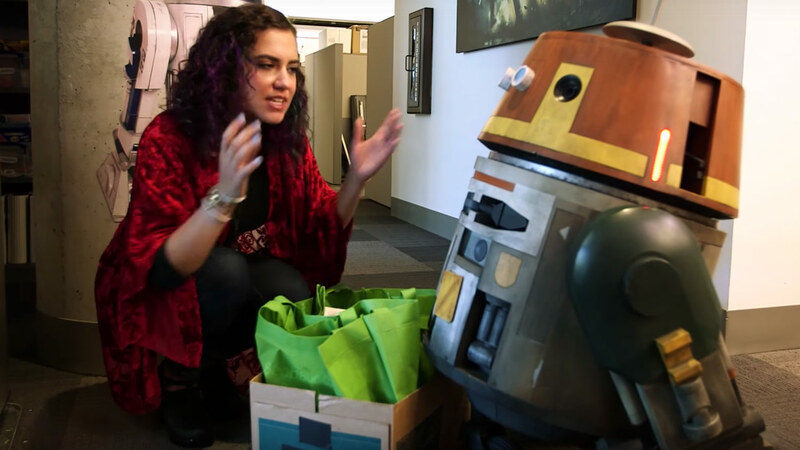 StarWars.com: Is it equally exciting for those behind the scenes? Matt Martin: Oh, for sure! For us in the Story Group, it’s our job to make those connections, but it goes well beyond that. I sit right near a big part of the Rebels crew, so I got to hear them get excited to see those Rebels elements on the big screen. That’s got to be a great feeling for those guys. And it goes both ways. 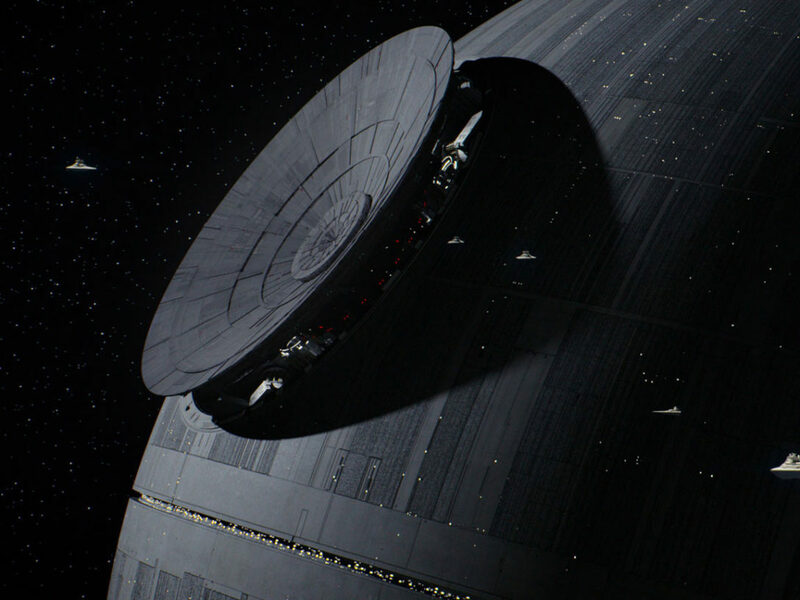 I heard that getting the Ghost into the movie was an idea that came from ILM. The production team was very supportive about seeing these connections unfolding, in fact Chopper was a real star while he was there on-set! And of course Skywalker Sound, who work on both the film and animation projects, go a long way to add those additional touches of connectivity. That’s one of the greatest parts of working here — we’re all big fans of Star Wars, but we’re also all big fans of each other’s work.